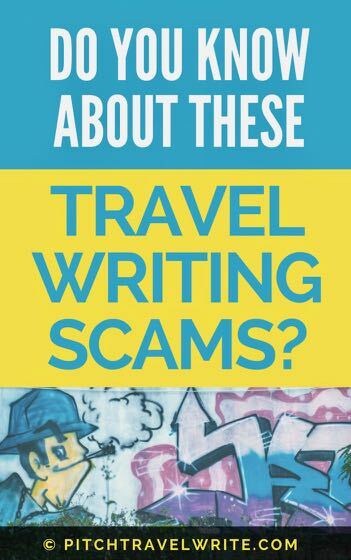 Travel Writing Scams: Do You Know About These? Travel writing scams abound on the internet. With large numbers of wannabee travel writers entering the field, it’s inevitable that scams are appearing on the scene. Less-than-honest operators prey on naiveté and inexperience hoping to make a few fast bucks. During my ten years as a full time professional travel journalist, I’ve encountered numerous scams and downright fraudulent rip-offs. Victims fall for these cons in the hope that the promised “opportunities” will boost their bylines, or help them progress up the travel writing totem pole. After the victims of these scams have been taken for an expensive ride, they realize there are no shortcuts in freelance travel writing. Breaking into the travel writing stratosphere simply involves lots of time, patience, and hard work, like anything else worth doing. This scam has just recently appeared on the travel writing scene. 1. A golf magazine tried to charge a writer $250 to run his story. 2. A travel website tried to charge a writer $150 to publish her story. If you have to pay magazines or websites to publish your articles, you’re definitely looking at things backwards. The whole idea is for magazines to pay us for our work—not the other way around! The Internet is an insatiable beast. There are thousands of travel websites desperately in need of your travel stories. You should not have any difficulty placing your stories online. Plenty of websites will take your stories. They don't charge you for this “privilege”. A similar travel writing scam that has emerged recently is the practice of charging the writer a fee to register as a guest contributor. One website was asking for $150! If you see this requirement, take your writing elsewhere. There are innumerable travel websites that do not charge exorbitant fees to “register” as a guest contributor. The catch is, the publisher then posts these unpaid articles on their website! So they’re not "samples" after all. They often use the excuse that they want to evaluate your writing before they commit to publishing your articles. But then they publish them! The solution: You should easily be able to produce evidence or a portfolio of your travel writing samples. Your professional writer’s website should have a portfolio of your articles. Send a link to your portfolio to a potential publisher. You should never write free, fresh, new copy for a website scammer. I recently came across the Writer’s Guidelines for a startup travel website that promises $10 for minimum 500-word articles. That’s only 2 cents/word, folks! You’re better off pitching your stories to reputable print (and a few paying online) travel magazines that pay reasonable rates. Even beginning travel writers should be able to attain 10 cents/word in print magazines if they apply themselves. I know of travel writers that have received four-figure payouts for their first print articles! Publishing your article without a reference or link back to your writer’s website or blog is also disrespectful to writers. As a writer, it’s important to have a link back to your website to establish credibility. A publisher should automatically do this as a basic courtesy to a writer. If you see these sorts of “deals” run the other way. Press Passes have always been completely unnecessary for travel writers. In fact, in today’s volatile world, having a Press Pass or Journalist ID Card could be harmful to your health. A business card is all you need! In my ten years as a travel journalist—with 1,000+ assignments under my belt, I’ve never been challenged to produce a Press Pass. Not once! A business card has always been sufficient proof of my bona fides to the media reps I’ve worked with. Press Passes are purely a vanity item. They even have the potential to cause you great harm if you’re in the wrong place at the wrong time. (Think any Middle East “hot spot”). I know some travel writer’s associations that make a big deal of announcing upcoming press trips. Interestingly, these press trips are standard posts on several travel writing websites. They are announcements you can find for yourself, with very little research. I also see plenty of travel writing newsletters that produce fluff pieces. Their articles have little or no practical application. They’re just taking up space in your Inbox and wasting your time. 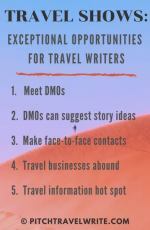 You’ll find far more practical “how to” information in travel writing trade magazines and books, for a fraction of the price of association membership dues. 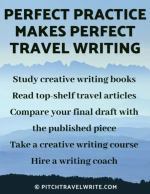 You’re better off subscribing to a high value writer’s magazine like “Writers’ Digest” or “Writers’ Forum” or reading books by real travel writing experts. 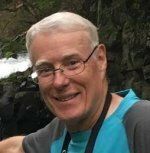 If your expensive association membership has not directly helped you get your articles published, meet editors, or improve your writing, it’s not worth the price of membership. Professionally managed press trips generally include all expenses incurred on that trip. i.e. airfare to and from the destination, lodging, meals, free entry to tourist attractions, all tours, guides, transport, etc. However, some tourist office or PR agencies expect you to foot the bill for getting to the destination. This undervalues the work of the writer. Travel writers are often paid very little for their work. Paying your own airfare might cost you more than your payment for the assignment. Is it worth it? Certainly, there are cases when the writer might pay for his airfare if he’s being adequately compensated for the assignment. For example, recently I used some of my personal air miles for a day trip from Ohio to Boston, while on a writing assignment. I even paid for my one-day car rental. However, my assignment payment was four figures. Covering this minor cost still left me with a healthy profit. I was recently offered a contract with a luxury travel website based in Boca Raton, Florida, that was ALL take and NO give. Beware of draconian "contracts". Some are more extensive and restrictive than the contracts you’ll sign with reputable print magazines that actually pay their writers for their work. Translation: "Dude, these articles are unpaid. We’re not ever going to pay you a cent." Translation: "I’m the publisher and I own your article and photos, lock, stock, and barrel. Not only are you not being paid for your work, but you cannot resell it, ever, anywhere." Please don’t even think about writing for any publisher that wants to screw you this badly. Translation: "If you’re crazy enough to sign this agreement, we’ll automatically renew it in ten years. Yes, really! We can do that!" The website charges the writer a registration fee to profile them. The website fails to list the full names, positions, and addresses of publishers and/or editors on the website. The website fails to list the publisher’s physical business addresses anywhere. The website publisher refuses to release the website’s traffic statistics. This is not a comprehensive list of travel writing scams and cons. We’ve addressed others in various articles on this website. But now you have a better idea of some of the most common scams. You’ll be more aware of them when you encounter them. When you see them, warn your travel writing friends. And, of course, avoid these travel writing scams yourself. Can You Make Money as a Travel Writer?